I’ve decided to add a new feature here. Free Novel Wednesday. Of course, you saw that in the title of this post. For at least the next twenty-three weeks, I’m going to post one chapter of a novel each Wednesday, consecutively, until the novel is available for free in its entirety. I’m starting with The Sacrifice of Mendleson Moony. I had originally thought of putting up a ‘written for the blog’ novel as a serial, but with Fragments still needing my attention, I decided I’d turn to a different book, one that I really wish more people were reading. This is an experiment, of course. There are links at the end of the chapter where you can purchase complete copies of The Sacrifice of Mendleson Moony. One of my hopes is that you’ll like the book so much that you can’t wait to read the rest and will purchase a copy of the book for yourself. But even if that doesn’t happen, I really love this story, and I want people to read it. In the mind of Mendleson Moony, the mid-summer festival was an utter waste of time. He ought to be home, working his small farm, or down on the waterfront trading his services with the fishermen who had a need for someone who could help mend boats or nets. Anything other than frolicking and celebrating for an entire day. Around him, the town-folk cavorted and competed, heedless of his distaste for the entire affair. Contests abounded. Archery, races, tests of strength. Merchants had their wagons and carts set up to sell their wares. A dozen boars roasted over an enormous fire pit. Children raced in and out among the adults’ legs with orders to slow down going unheeded. A large, flat area remained clear. Musicians were setting up near it. The dancing would start as soon as the roasted pork had all been eaten. Mendleson looked forward to the dancing the least. Mendleson turned around and found his friend Paulus approaching him from the thick of the crowd. Paulus wasn’t very tall, but his thick body contained more power in its muscles than most other men. He liked to show off his muscles, preferring to go without shirts whenever he could get away with it. He wore a shirt to the festival, though, surprising Mendleson. Four years? Has it really been that long? It seems like yesterday. “There are plenty of women here that would be happy to have you, too,” Paulus continued, while sweeping his arm out to cover the festival goers. Mendleson looked around, and for a moment, he entertained the idea, but could not see one woman who he thought would be interested. “Point some out. I don’t see any,” he said. Paulus led him off across the field toward the carts bearing large kegs. While they walked, Mendleson worked back through the years and discovered that indeed, it had been four years since he’d come home from fishing one day to find his home burned to the ground, his wife and young son burned with it. He could remember every detail like it happened yesterday. He’d seen the smoke on the horizon as the boat landed, and he didn’t think much of it until he started making his way home. About halfway there, he realized it was near his land and began to worry. When he arrived, he found his neighbors working hard to quench the flames, but there weren’t enough of them. He looked around and didn’t see his wife, Mirrielle. Upon realizing she wasn’t there, he tried to run in to find her, but his neighbors held him back. The house collapsed into rubble only minutes later while he cried out for her, again and again. After the rubble cooled, they found Mirrielle and his son Josua, huddled together. He’d resolved right then to never put to sea again. He rebuilt his home and started to farm his land in earnest. He gave up fishing. And Paulus is right. That was four years ago. They reached the ale carts. Paulus paid for mugs for the both of them, then lead Mendleson to a bench where the two of them sat and sipped their ale. “There,” Paulus said, pointing at a woman in a burgundy colored dress. She kept her dark brown hair up, and her hands close to her body. She was talking with two other women. One of the women said something, and the three of them tittered. Mendleson thought she was pretty. Petite, thin boned, and delicate. For a moment, he entertained the thought, but couldn’t imagine her helping with the farm. Mendleson looked where Paulus pointed and found himself looking at Fredetta Jointer. Mendleson punched Paulus in the shoulder, causing Paulus to nearly spill his ale. “What’s that for?” Paulus asked. He couldn’t keep the hint of laughter out of his voice. “That it would,” Mendleson said, his mirth fading. Paulus didn’t answer, and Mendleson knew why. Nothing good had come out of it. Mendleson chuckled, and motioned for his friend to lead them forth. Maybe he’d feel better with food in his belly. Henrietta Swooth muttered to herself as she walked the road to the mid-summer festival. She had no real desire to go. In her three years living in the little cottage that looked out over the cliffs and onto the town below, she had not attended the festival. But she had seen herself there. Something important would happen, and so she went. She’d learned long ago that events would conspire to put her in the places she saw herself if she tried to avoid what her visions showed her. What made it all hard to deal with is that she rarely knew why she had to go. The meaning behind her visions of herself remained a mystery. This wasn’t the case when trying to see things for the women that came to visit. She could almost always determine their fate and the reasons behind it. Sometimes, she could even see how they could do things differently to avoid the fate given to them. But for herself, her options remained opaque. So she found herself walking the mile and a half between her home and the festival grounds, dreading what was to come. She tried to prepare herself, as she walked, for the overwhelming number of visions that would assault her as she touched people, as she brushed them, or they her. She looked to her right, where she could see the Western Sea, and the orange-red sun that hung low on the horizon. She’d waited until just about the right moment to leave. Her vision had her at the gathering at twilight. She didn’t want to spend any more time there than necessary. She heard the music, first. Horns, drums, and a great deal of singing, much of it out of key. It made her long for her home near the mountains. She topped a rise in the road and saw the festival ground laid out below her. Oil lamps were already lit and waiting for the sun to set. It appeared to her that most of the town had turned out. She took a deep breath. “It’s only for a short time, Henrietta,” she said. Then she worked her way down the hill to join the festival. When she first entered the grounds, she thought she might go unnoticed. Most everyone concentrated on the singing and dancing. She wandered the perimeter, looking for the place where she’d seen herself. She had time, so didn’t hurry. Which was a mistake. Three young women noticed her before she even walked twenty paces. Of course, it was always the women. The men never acknowledged that they noticed her. In her experience, men had a healthy fear of her visions. Henrietta had always thought that their reluctance was because men needed the fiction that they were in control. Surrendering to fate seemed difficult to impossible. The women here accepted her, though. They sought her out, once it was discovered what she could do. They seemed more willing to want to work with fate, instead of against it. Well, most of them. The women approaching her, though, had other ideas. Of course, it would be that vapid girl Melissa who wanted to know her future. I wonder what she’ll ask me this time. “It is not summer’s end, yet,” Henrietta said. Well, that is a change, at least. She’s given thought to accepting less than a Lord for a husband. Henrietta looked for the merchant carts and found them, but she couldn’t see through the crowd to find who manned them. Melissa smiled and reached for Henriatta’s hands. Henrietta closed her eyes, which wasn’t strictly necessary. She just didn’t want to watch Melissa while lying to her. She made a show of seeing the future, but as always, the girl’s future was as empty as her mind. It scared Henrietta, too. More and more often, she could see nothing in the future for the women that came to see her. She broke her contact with Melissa, not wanting to think about what it meant. Melissa’s shoulders slumped in disappointment. Henrietta understood how Melissa felt. She secretly wished for her own man to come calling, to help her give a child to the world, like her grandmother had done. But it would never be. She looked around the festival, hoping to find some way to escape these three girls. Her gaze passed over a man she knew only from a distance. A neighbor that lived within sight of her home. She had never talked with him before, but she’d seen him working his fields, his muscles running with sweat and a permanent air of seriousness set upon his face. Of course, she’d heard the story of what had happened to him. The women that came to her told her everything. She had locked eyes with him once, across the road, and she’d thought for a moment he might have an interest in her, but he looked away just as quick. The pain in his eyes had been near palpable. And he was sitting right near where her vision had told her she had to be. Melissa ignored her, but Melissa’s friends seemed to be a little put off. Henrietta didn’t care. Now that she’d made her decision, she would walk over to Mendleson Moony and see what happened. Likely nothing at all. Mendleson looked to where Paulus pointed. Indeed, it was his neighbor, the Seer, Henrietta Swooth. As always, she looked resplendent. Her blonde hair was bound back, but allowed to cascade onto her shoulders. The gown she wore, black with a purple trim along its arms, fit her slight frame perfectly. When she’d arrived in town only a year after his wife died, all the single men he’d known had talked about her, wondered how she’d bought the cottage that looked over the town and the sea. Of course, the wondering stopped as soon as wives and girlfriends started to talk of their meetings with the Seer. Mendleson often wondered how that day would have changed if the Seer had lived across the street when his home, his life, burned. He’d thought about visiting her more than once, but in the time they’d lived across the road from each other, he’d never managed to speak a word to her. Mendleson shook his head, and looked up. The Seer was almost upon them. “Well, ask her. I need another ale.” he said, then laughed and left Mendleson to stand there. Mendleson turned to follow him. He did not want to be alone with her. “Mendleson,” she said to his back. Just the one word, his name, stopped him. He couldn’t move any further. He’d never heard her speak before. Her voice was arresting, almost magical. He turned to face her, but couldn’t open his mouth to speak. This close, she was as beautiful as he’d thought, and younger. She couldn’t have been more than twenty-four or twenty-five. Of an age with his wife, had she lived. He shook his head. I don’t want to think of that. He made to turn and leave. Mendleson put his hand out to help guide her to the bench. He didn’t even know why he did it. It was something he would have done for a lady he was trying to court. But he wasn’t trying to court her. The gesture felt right, though. Henrietta avoided it deftly, though, sitting on her own. He withdrew it and sat next to her. I wonder why she did that? For a while, they sat next to each other and said nothing. Mendleson let his gaze wander among the sights of the festival. The sun was just beginning to dip below the horizon. The bonfires lit the dancers in a flickering light that seemed almost unearthly. He stole a glance at her and found her looking at him. Staring. In the low light, it was difficult to tell what color her eyes were. “Why did you really come over here,” he asked. “What other reasons?” he asked, and regretted it immediately. The smile she’d had on her lips faded. “No, no. I understand.” Just like I don’t want to talk about that day. They sat in silence for a couple minutes, listening to the music, watching the dancers. He stole glances at her, and he caught her stealing glances at him. She intrigued him. He could tell there was pain in her past, or something akin to it. It’s probably related to her being a Seer. Not every town accepts them. “It must be lonely,” he said. A flash, a spark, something, raced between them at that moment. His heart seemed to open up. At the same time, her eyes grew wide, and terror crossed her face. She pulled away from him, stumbled backward, then fell to the ground. Mendleson stood up and went to her. What did I do? What did I say? What happened? If you can’t wait to read the other chapters, you can get the eBook (or a really awesome paperback) from the following retailers. A couple weeks ago, I went to a workshop where I spent the week writing and learning, along with 20 other incredible writers (and I’m not just saying this to be nice – there were some awesome stories generated there), and during that workshop, I wrote this short story based on the one word theme, Gangsters. Of course, I couldn’t write about real gangsters. I have a hard time dealing with stories that aren’t at least minimally sprinkled with the fantastic (I wrote one while there, believe it or not, but I have to create a whole new me before I put that one up), so I sprinkled it with a bit of fantasy, and came up with The Assassin and the Potionist. It’s currently available from Amazon, Barnes & Noble, and Smashwords. I think I announced it everywhere but here. Zombies Ate My Mom is available in most places like Amazon, Barnes & Noble, Smashwords, and DrivethruFiciton.com. Kobo and Sony should be coming along soon. I’m excited about ZAMM, and I hope you all like it. I’d love to write two or three more of them, as this one was a blast to write. Brad never thought the zombie apocalypse could happen without him noticing. But when he and his mom run into a zombie horde on their way to get take-n-bake pizza, he discovers the awful truth. Now, Brad must rescue his girlfriend from the zombies that are at her door, but he needs help from his father, a man he hasn’t spoken with in two years. First, Brad must find his car keys. I’m only going to mention when a newsletter goes out just this once. I sent it this morning, and it included a link to the free electronic copy of Zombies Ate My Mom!. If you signed up and you didn’t get it, check your junk/spam folder for it. It’ll be from a gmail account that has my first and last name in front of it. For those of you that didn’t sign up, sign up anyway. You’ll get notice of new releases delivered right to your inbox, and I will probably do more freebies like this one in the future. Down along the right side, right below the “Recent Releases”, is a little widget that lets you sign up for my newsletter (there’s also one at the bottom of this post). 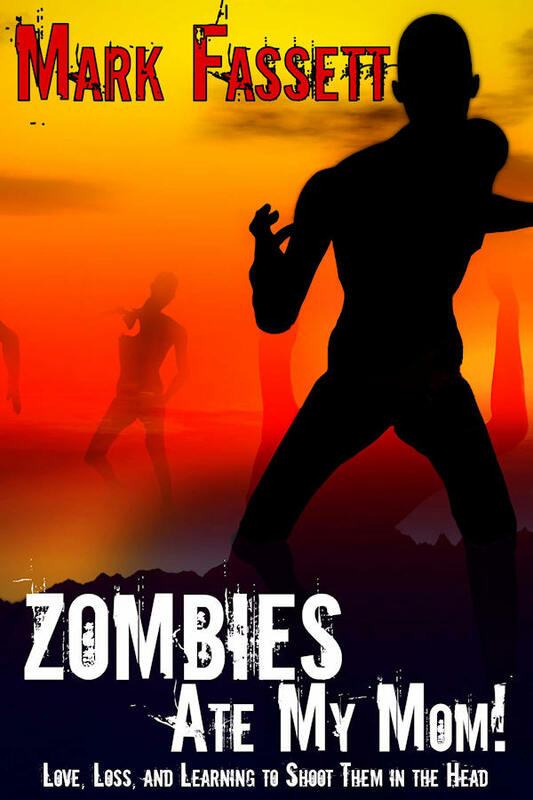 If you sign up during the next seven days (March 16-March 22), the first newsletter to go out will contain a link to a free electronic copy of Zombies Ate My Mom, my new zombie novella. You will get this BEFORE it’s available anywhere else. What else will be in the newsletter, you ask? The newsletter will keep you up to date on my latest releases and where they might be found. I expect I will release a short story a few times a year, and some of those will be free to subscribers. You will get the newsletter only when something happens (a new release, a special deal, etc…). You won’t see the same piece of spam mail every week. You won’t see mail about my software (I know some of you might want that – but that’s why there’s a link in the apps to check for updates). You won’t see cat pictures (unless I get lots of feedback that you want pictures of my cats). So, sign up for the newsletter in the next seven days, receive a free electronic copy of Zombies Ate My Mom, and get notified of cool stuff (and the occasional freebie)! Today is Release Day for The Sacrifice of Mendleson Moony! And this time, I’ve almost got it right, I think. 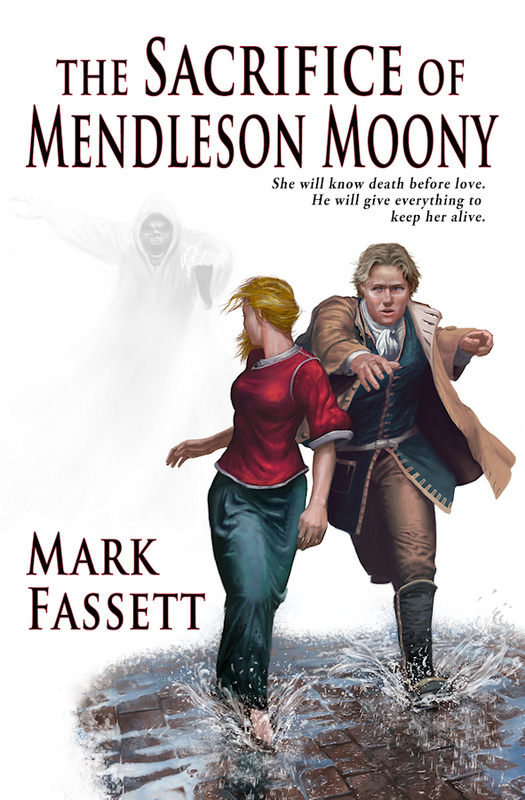 If you click through to the Mendleson Moony page, there are links for each of the retailers that are currently available, including Amazon, DriveThruFiction.com, Barnes & Noble, and Smashwords. Kobo and Sony should be along in the next few weeks. I wish I could speed those up, but there is little I can do about it. (Sony hasn’t even put up Questioner’s Shadow yet 🙁 ). The paperback is also available from CreateSpace, and Amazon. In about six weeks, you should be able to order it from other outlets like Barnes & Noble. I’m pretty excited about this book. Its roots are in the Marketing workshop I took from Dean Wesley Smith and Kristine Kathryn Rusch last March. We had to write a proposal for a new novel each day, and this is based off of the third proposal I wrote. I was laying in bed at the hotel, staring up at the starry sky (there are stars on the ceilings of the rooms at the hotel), knowing that I had to write a proposal that day before the session, and I had nothing. I must have lay there for an hour before I decided to forget worrying about a plot and started thinking about the characters, and right at that moment, Mendleson Moony’s name popped into my head. Following on that, I came up with the name of Henrietta Swooth, and about two minutes later, I had the title. This is the book I tried to write in ten days. It took me quite a bit longer due in part to a wall I hit in the middle and some other life issues that caused a lot of stress, but I think it turned out well, if a bit different from my previous novels. There’s a two chapter excerpt on the book page, too!